The decision for euthanasia is arrived at in the usual way, by consensus of the client and the veterinarian attending the case. 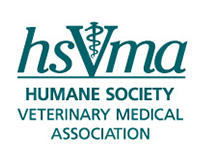 The client has access to the humane euthanasia information brochure. The attending veterinarian informs the client of available options for disposition of remains as outlined on the euthanasia consent form. Various options available to the client are listed on the humane euthanasia information sheet (donation, burial, cremation with or without return of ashes). To ensure that the client is not motivated to donate the pet primarily for financial reasons, the fee waiver for donated animals is not divulged to the client until the client decides to donate the remains of the pet to the Tufts University School of Veterinary Medicine teaching program. The client signs the euthanasia consent form, marking an appropriate box regarding disposition of remains. The form is also signed by the attending veterinarian. Copies of the form are distributed for filing as follows: medical records, division of lab animal medicine, accounting and technician. All client-donated animals receive 100,000 units of heparin IV prior to injection of euthanasia solution. Subsequent to death, a technician makes a decision as to the disposition of the cadaver based on the condition of the animal and need for cadavers in the various laboratories at the veterinary school. Cadaver condition or size may not be suitable for any of the laboratories, however, this should have no bearing on whether the client is allowed to donate the remains. If the cadaver is destined for the anatomy laboratory, the anatomy secretary is contacted immediately and a copy of signed donation form with case number is faxed to the anatomy office. The secretary contacts the gross anatomist promptly. The gross anatomist embalms the cadaver within 24 hours. According to Dr. Kumar, it is possible to embalm donated bodies even after 2-3 days, if the bodies are kept in a cold room, with no appreciable differences in tissue fixation. Bodies should not be frozen. Embalmed animals are tagged with numbered ear tabs, and the case file on the animal is identified with the ear tag for future use.